You know we love crafting with Aquabeads so we were quite excited to see an Aquabeads Sylvanian Families set when we were in Hamleys toy shop last week. I know my children have plenty of toys but I couldn’t resist buying this set. My 3 year old really enjoys crafting with Aquabeads which surprised me as I thought she would find them too small. However, she’s really good at finding the correct colour and placing it in the right place and I knew she would love this set. The Aquabeads Sylvanian Families set is a refill set so you will need the Aquabeads layout tray and sprayer. 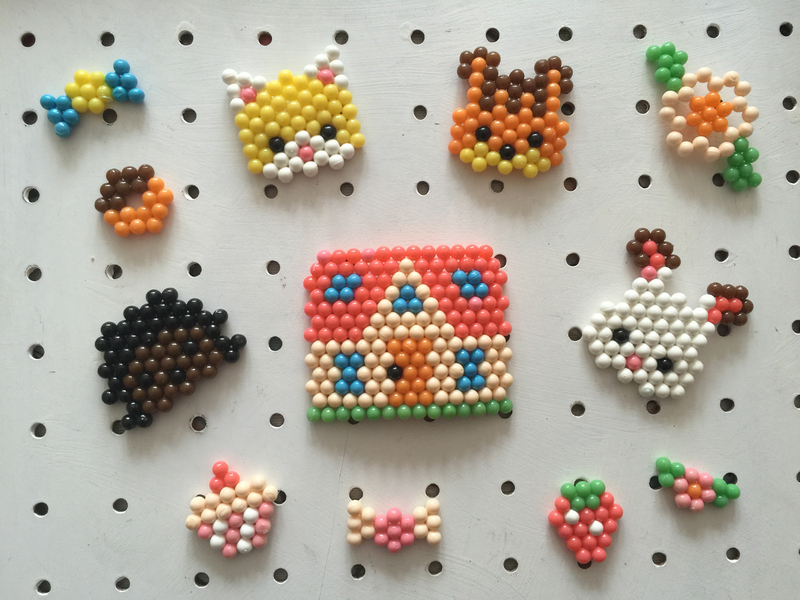 This set included 4 Sylvanian template sheets, instructions and over 600 beads in 8 different coloured solid beads. 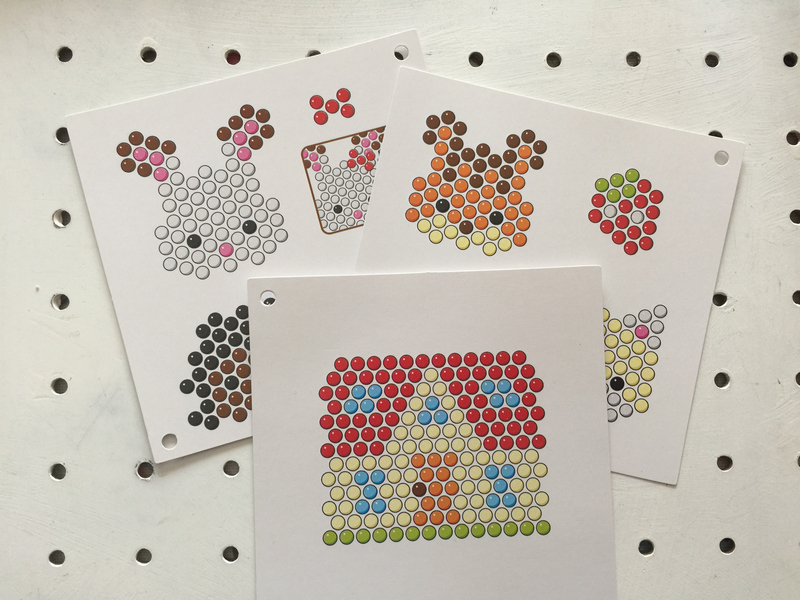 The 4 Sylvanian template sheets have patterns to make our favourite Freya Chocolate Rabbit, a pretty cosy cottage, and I think Abigail Hedgehog, Ralph Walnut Squirrel and Tiffany Silk Cat. There are also some smaller patterns for hair bows which can be added to your Sylvanian friend and flowers. We had so much fun with this set. As a refill set it’s great value, especially for little fans of Sylvania. I thought we should do something with the finished products. My 3 year old has a toy box full of Sylvanian Families animals and toys so I thought we could have a tidy up. 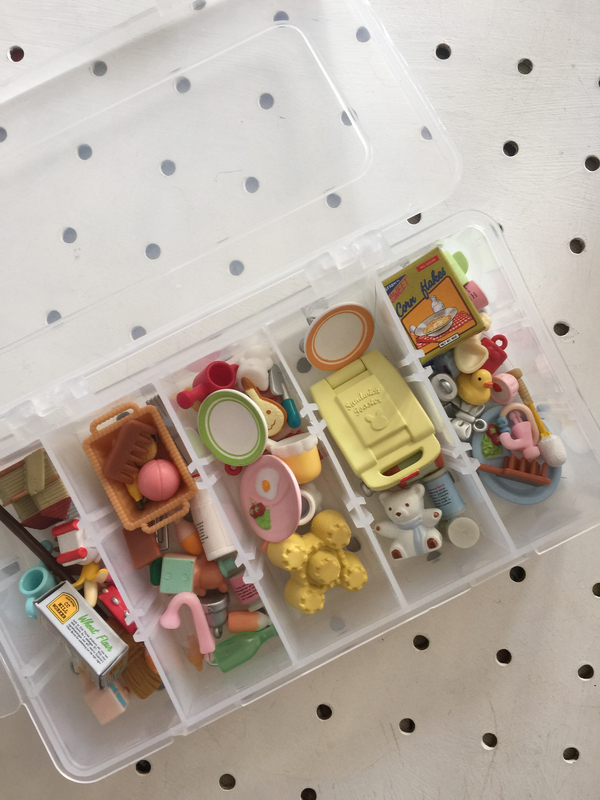 We used a small plastic organiser, the type with adjustable dividers, and found all the tiny brushes, bottles and food item and stored them in it. Then I used a hot glue gun to attach some of the Aquabead creations to the lid. I think it’s a great way to use our creations and hopefully it will encourage my daughter to look after her toys! 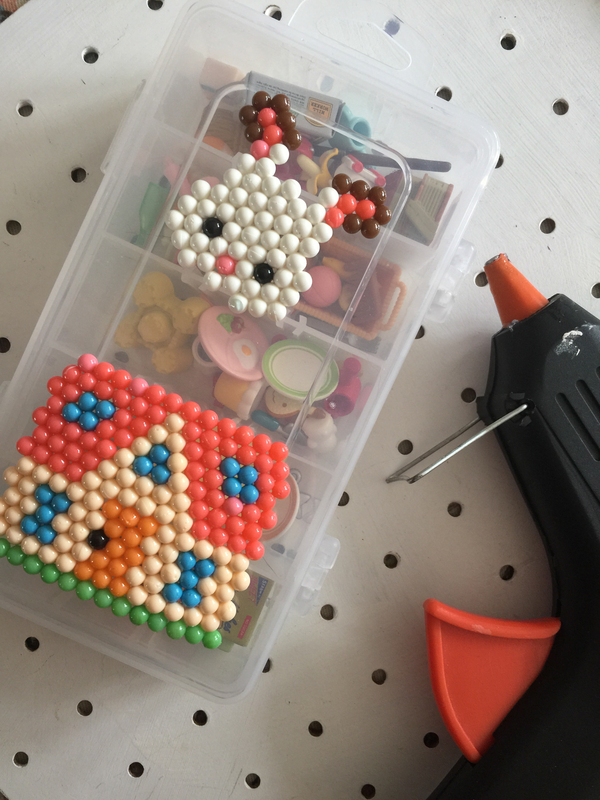 These look so much fun and your creations are so cute!